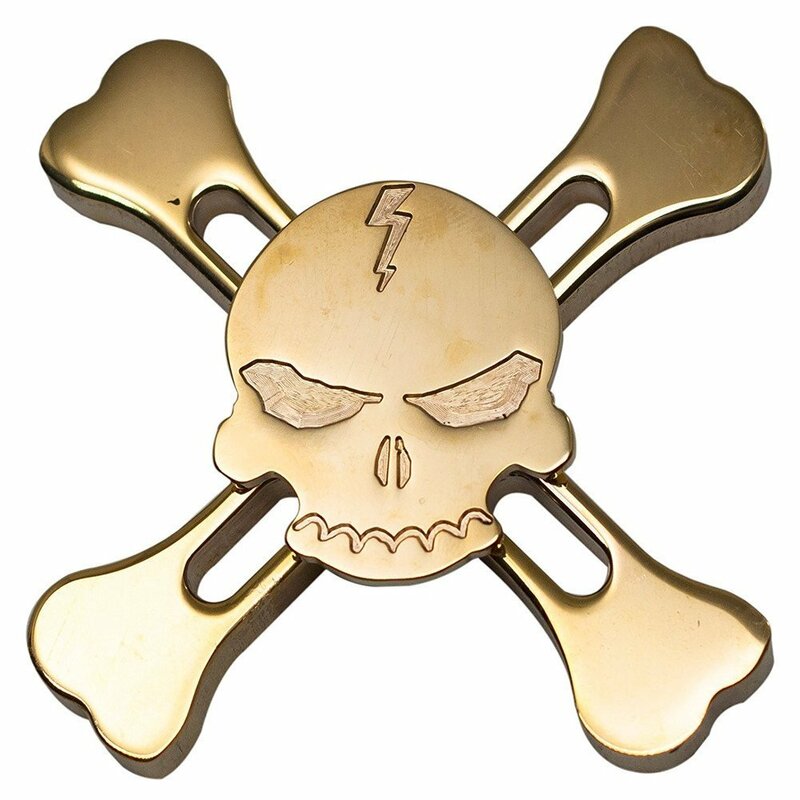 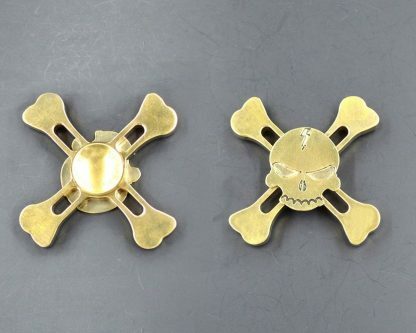 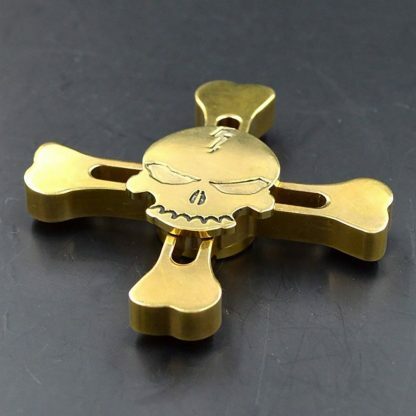 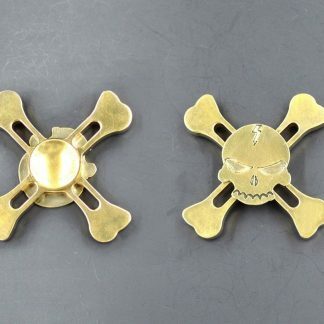 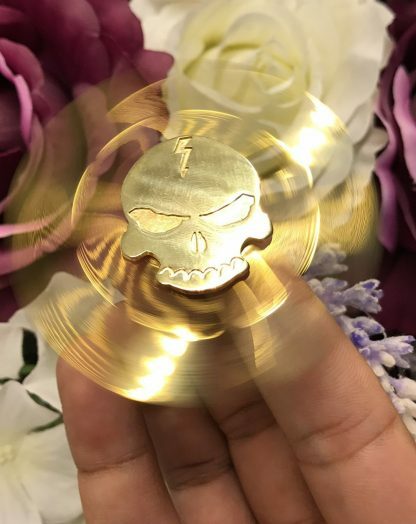 Super cool skull and cross bones design with bright golden color, ceramic center bearing, SLA technology, laser industrial molding technology, high quality materials, accompany you year by year. 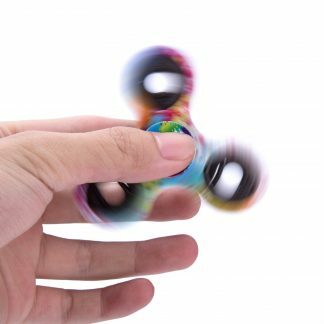 1-3 Minute Average Spins! 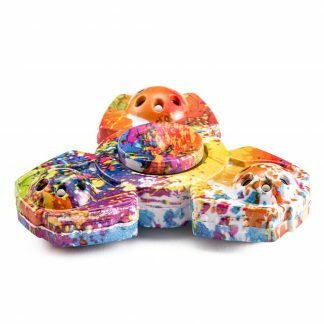 Compact and light weight, comfortable in hand feeling. 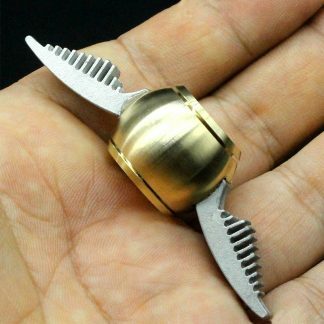 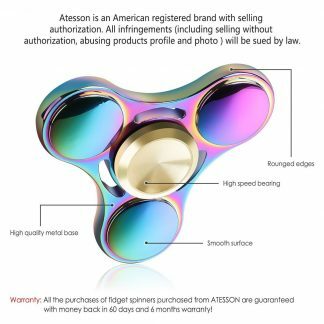 Hold spinner in one hand and use the other hand to spin it rapidly using small continuous strikes to keep it spinning indefinitely . 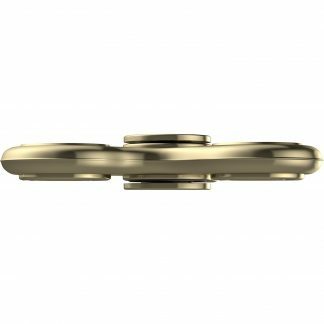 With practice spinners can be spun using one hand only using the fingers of one hand to stop and start spinning.